Walking into the room, I felt like I was looking at an anthill that had just been raided by a few drops of water: ants scurrying everywhere with no real goal or organization...yet. But you had the feeling that given time, everyone would have a job, and organization would begin to unfold. Everyone looked busy and the room was alive with chatter and anticipation. Kids were getting measured, parents filling out forms, chairs scraping and screeching, and the director trying to get everyone's attention. I was stunned with the numbers. Standing room only. There had to be 40 or more kids; add in their parents, and that was a lot of bodies in a small room! It was obvious that the numbers exceeded expectations. My heart sank a little because while I know Hannah is good, I didn't know how she would stand up under this kind of competition. I looked around the room again...seven parts. Seven parts and HOW MANY kids again? Yikes. Hannah had been taking voice lessons, and her music teacher who doesn't throw compliments around easily, said she was so excited with and proud of her progress. Hannah LOVES to sing, especially in a musical. She was in "Beauty and the Beast" last year and had a ball. 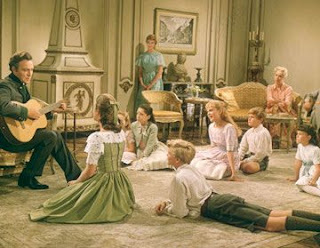 "The Sound of Music" is one of her all-time favorites, and it was a very real dream of hers to one day earn a lead for that musical. 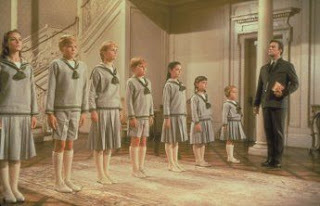 When the same local theater group that put on B&B decided to do "The Sound of Music" this year, we supported her going for it. Now, looking around the room, I had my doubts. Was disappointment around the corner? God has taught us some very real lessons through disappointment, so I immediately began praying that whatever His will, that He be glorified and honored. If disappointment was to be the destiny, then this over-sensitive parent and drama-queen preteen were going to need lots of help! Of course I added, "At least a call-back would be nice, Lord." Round 1 wasn't so bad. Groups of kids were asked to sing together, and when it was Hannah's turn, I could hear her bold, clear voice come through nicely. I felt certain she would get called back, but perhaps I was a bit biased? We would soon find out. The phone call came two days later, and Hannah was invited to call-backs the next day. I breathed a sigh of relief and thought I could relax. She had made it this far; whether she got the part or not, she could have confidence in the fact that she had talent and with continued practice, she would get her chance to show off that talent. Relax? What was I thinking? When we walked in this time, I was surprised with the numbers still there. The room was almost as full as it had been two nights before...there had to be about 25 kids...this was pared down? Turns out that the second night of round 1 tryouts had almost as many kids as the first night, so between the two nights, there were 70 or more kids. 70+ kids, 7 parts. I guess 25 or so WAS pared down. And the room was now oozing with talent. All these kids were good, most were excellent. I was so glad I wasn't the director! Once again, my prayer was that whether she won or lost the part, God would somehow get the glory through this...specifically through Hannah's efforts. A long evening ensued. 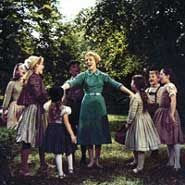 The kids had to learn harmony parts quickly and try to blend and sing together with other kids. They had to read through a few scenes, stand together for height and "family resemblance," and stay quiet when it wasn't their turn. Eventually, round 2 ended, and about half the kids were sent home. Hannah (and I) stayed. I was so thrilled for her, and while I was positively antsy with nervous anticipation, I was also giddy with pride that she had made it this far. We both felt that win or lose, it was truly an honor to be considered "cream of the crop" enough to continue to be called back. The third and final round was even more nerve-racking than the previous as the final selection for 3 parts was made, but 4 of the roles, including the one Hannah was trying for, were still undecided. So we had to leave without knowing, and since we were leaving for the weekend the next day, we wondered if we would find out before we left. The call came the next morning...Hannah had been chosen for the part of Louisa! She was out with her aunt, and while I wanted to see her face when I told her, I couldn't wait! So of course I called. The timing was perfect as they had just stopped at my mom's, so her aunt her gramma, and she all got to hear the news together. I heard a lot of joyful shouts, jumping, and laughing that almost made up for not seeing her face. What a joyful highlight to tuck away in my parental heart! Now we are in the throes of rehearsals and preparations, and I have to say I am proud of how Hannah is handling it all. She is maintaining her schoolwork, helping at church, and she's playing volleyball, too! We are usually pretty strict with one activity at a time, but we made an exception for these circumstances with the agreement that she keep up with her grades and other commitments, and no matter what the musical is next fall, she will not be a part of it if she continues with her other activities and commitments. Her school does a musical every spring when she doesn't have anything else going on, so she'll get her opportunity then to be a part of a musical each year if she chooses, and will be able to do so without all these other things going on. Needless to say, we are practically counting the days until the performance! And you can be sure I'll be posting pics and chattering on and on about it when it does happen. Can you hear my heart swell from here?